over $1,200,000 in commissions paid out to date! 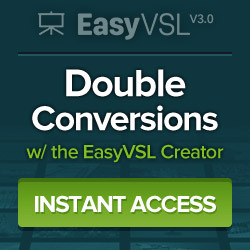 What Is EasyVSL 3.0 ? 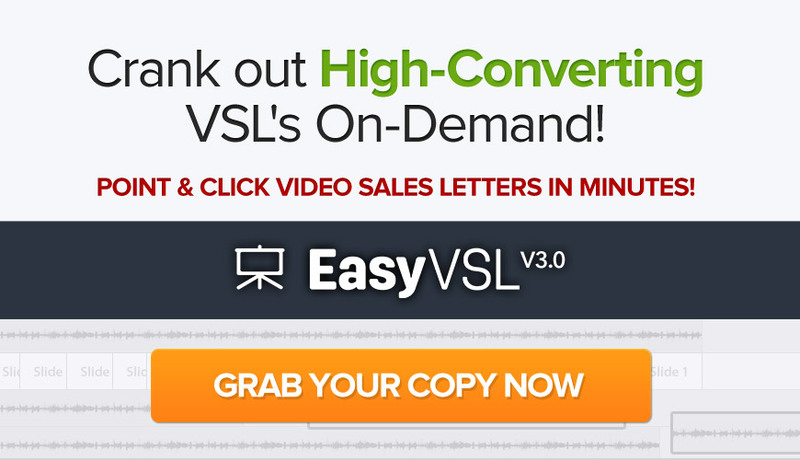 EasyVSL is a High-Converting Video Sales Letter, Created from Start to Finish in UNDER 60-Seconds! 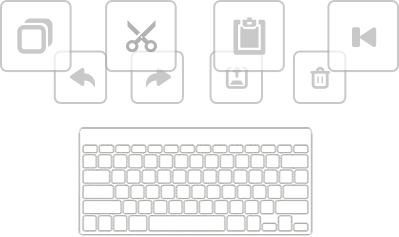 Work your way around EasyVSL much faster and more effectively using Quick Keys. Quick Keys are keyboard shortcuts that allow you to do things like Undo/Redo, Copy, Cut, Paste, Bold, etc... directly from your keyboard. Features Released in EasyVSL Version 3.0! Add sound effects to your slide and text transitions to help grab your viewers’ attention and to add another level of professionalism to your videos. Use our built-in sound effects or upload your own! 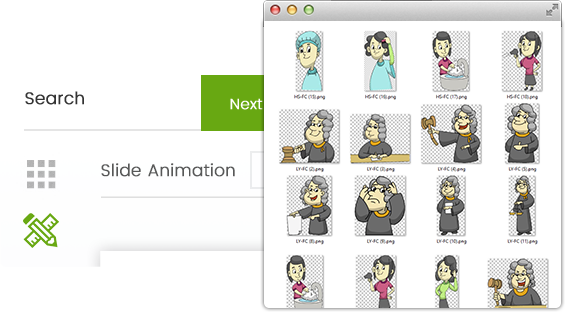 Instantly import your YouZign-created images into your EasyVSL videos. Our biggest feature request, is now available! Now you can import existing Microsoft Powerpoint and Keynote presentations right into EasyVSL. 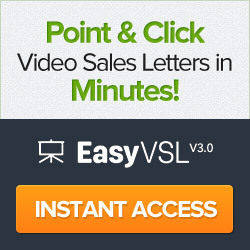 Subject: 40k marketers use EasyVSL, v3.0 just released! 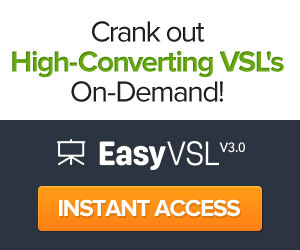 Subject: EasyVSL 3.0…Back and Better than EVER! 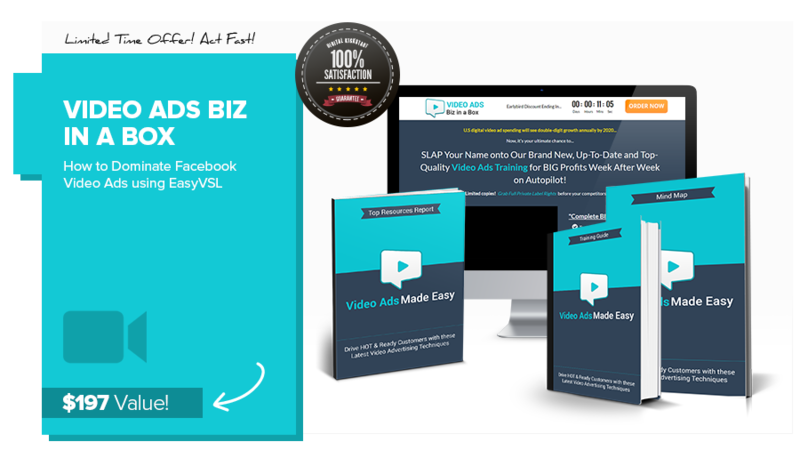 With over 40,000+ marketers using EasyVSL to create high-converting videos – it’s become the standard for creating videos FAST, that flat-out turn to profit. 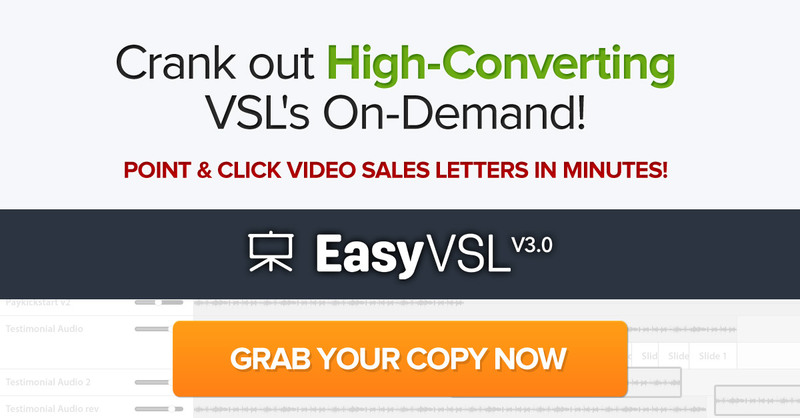 Have a high-converting, video sales letter ready in literally minutes. [+] Kinetic Animation: Create “kinetic-style” or animation typography videos using one of the 10 pre-designed kinetic themes. [+] Import Keynote/Powerpoint: Their biggest feature request is now available. Import any existing keynote or powerpoint presentation into EasyVSL. [+] Image Library/YouZign Integration: Now you can search over 1,000,000 royalty free images/graphics to add directly into your EasyVSL videos. [+] Sound Effect Transitions: Now you can add sounds effects to your slide and text transitions to help grab the viewers attention. 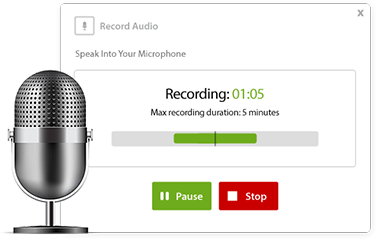 [+] Speech Recognition: Now you don’t even have to manually sync your slides with your voice. 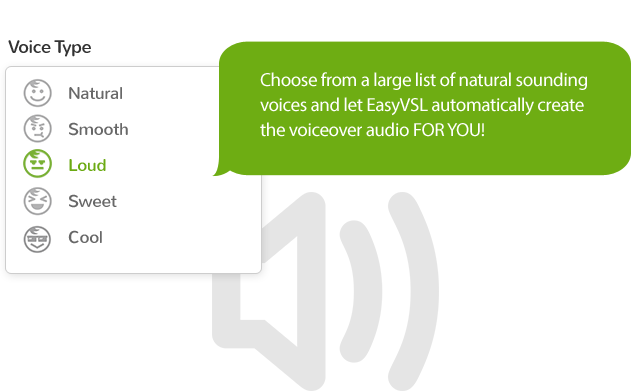 Just push the button and watch EasyVSL sync your voice with your slides. 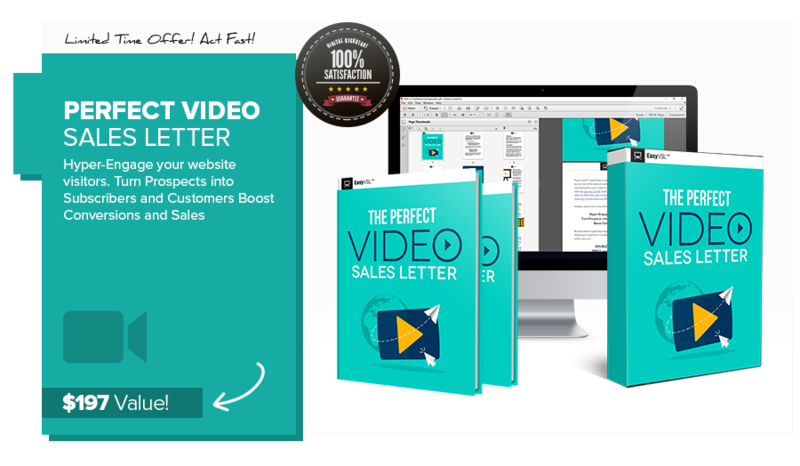 As marketers, how valuable is it to have the power to crank out high converting video sales letters in minutes (not days or weeks – or having to pay $3,500 a pop to a video editor). But now with version 3.0 just being released, it’s even EASIER. 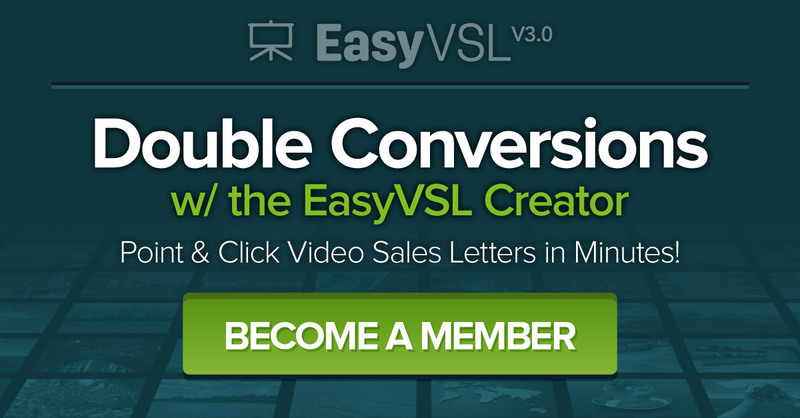 The founders of EasyVSL show how you can literally create a VSL in under 1 minute (without sacrificing quality). 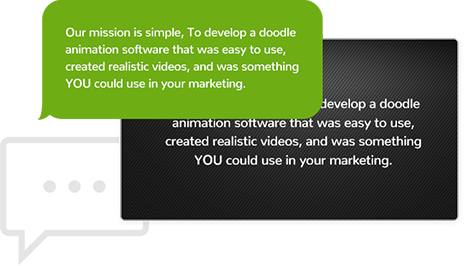 Step 2: Publish the video to your sales page. EasyVSL just released version 3.0 – now with eye-popping “kinetic” style videos! …and best of all you can do it in “EASY” VSL style. 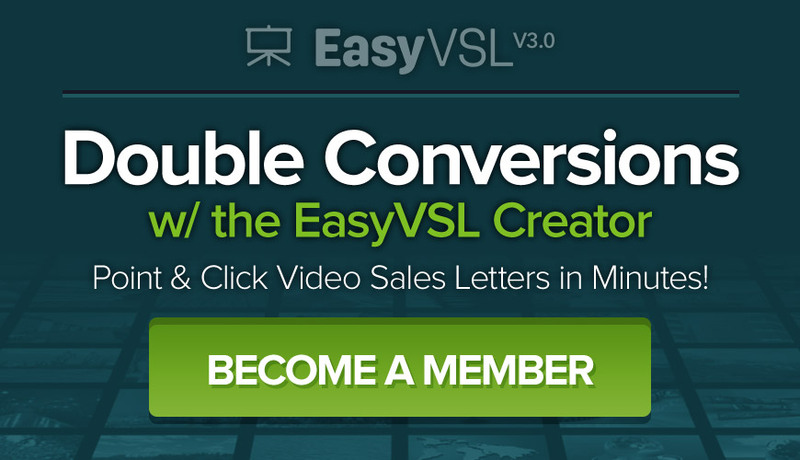 Learn more about EasyVSL, plus the new v3.0 features and enhancements that makes it easy for ANY website owner to create amazing, eye-catching video sales letters. 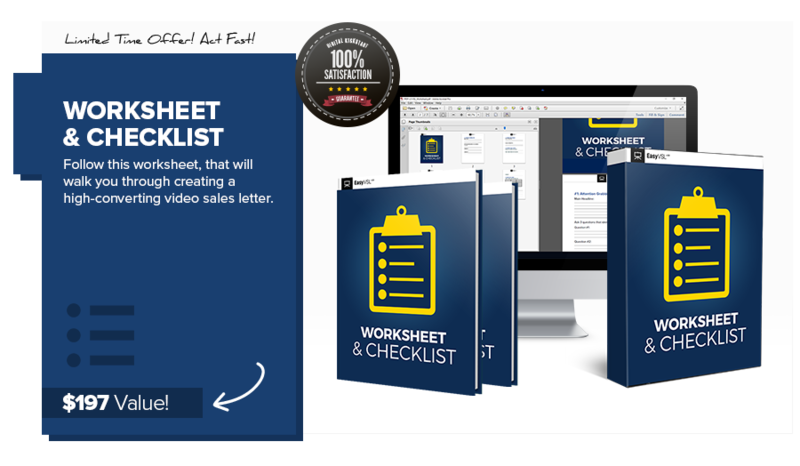 Did you know that a whopping 92% of the top 50 Clickbank products are using Video Sales Letters? All of them generating thousands of dollars in revenue each day (and have been for years). You name an industry – the products that are consistently delivering the highest conversions, have one thing in common. …they are all using VIDEO SALES LETTERS. 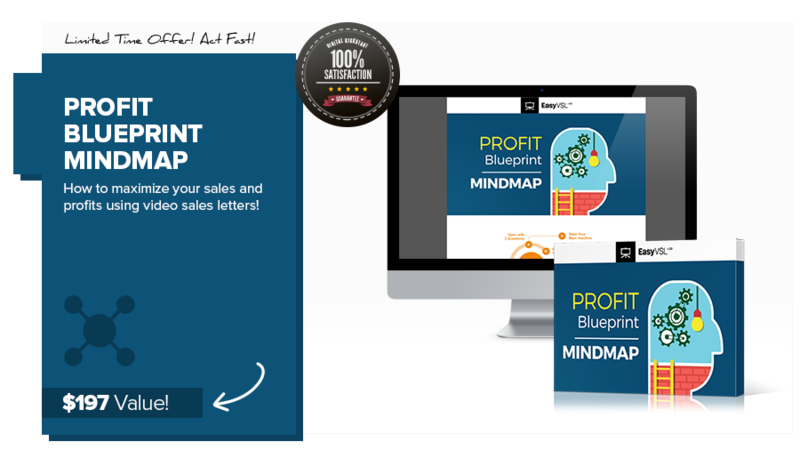 Watch this free presentation to see exactly how you can start seeing consistent 3-5x increasing in your conversions OVERNIGHT. – The ONE simple trick that 46 out of the top 50 Clickbank products are using. – How and why the top selling products online spend 5-6 figures DAILY on advertising – knowing they will see consistent double or triple ROI each time. – How you can copy this EXACT formula that 7 and 8 figure online businesses & entrepreneurs are using to outperform “old-school” static sales pages. 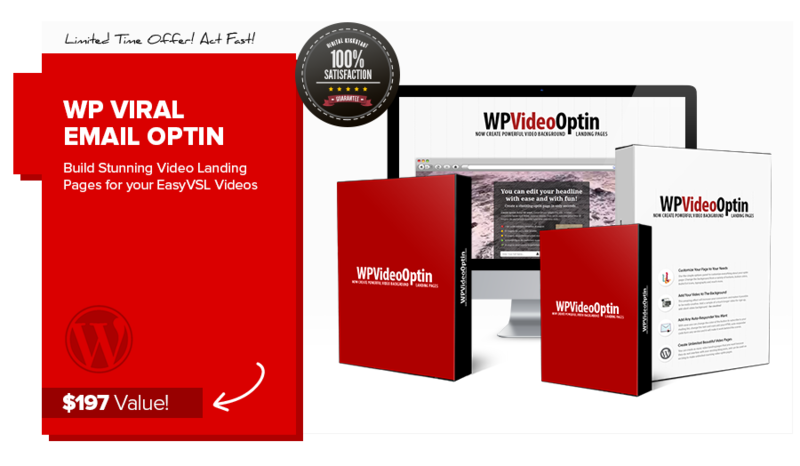 – A new version of a powerful software, used by over 40k online Entrepreneurs use – that will replace having to pay thousands to a professional to create these types of conversion-boosting videos. WARNING: this video will not be up forever. 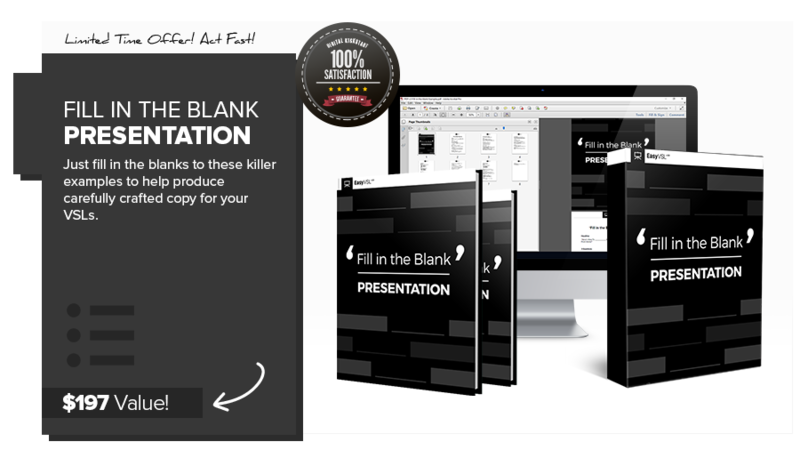 Each day that you wait to watch this, you are losing money by not leveraging this ONE simple trick that will sky-rocket conversion and maximize revenue! 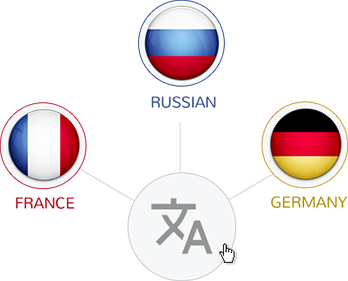 You must agree to our affiliate agreement before promoting EasyVSL.